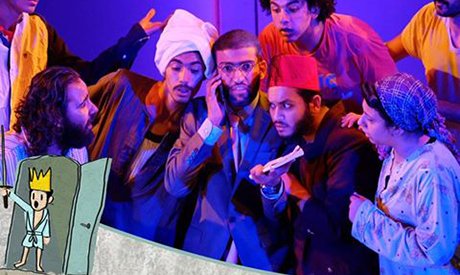 Cairo’s Falaki Theatre will host The Danish Experience, an Arabic-language play, for three nights starting 28 August. The play is comedy about a young man who aspires to fulfill his dreams as an artist, but is faced with harsh realities and a society that thinks his dream is a waste of time. Going against the current, will his dreams survive, or will society prevail? Based on hints in the play’s marketing material, the play may contain some loose references to Shakespeare’s Hamlet. The Danish Experience is performed by Alam Mowazy troupe, and is the result of an improvisation workshop. The play’s director is Salah Ihab, and Mohamed Halwani and Mohamed Osama are executive directors. It debuted in June at Hosapeer Theatre.